“It all comes down to following the money,” he said. “As soon as it is important to a provider, important to a payer, important to a hospital for information to flow into them, then the vendors will make it easy.” Office of the National Coordinator for Health IT, Jodi Daniel said recently in response to the ease of interoperability of ‘mhealth’ data. 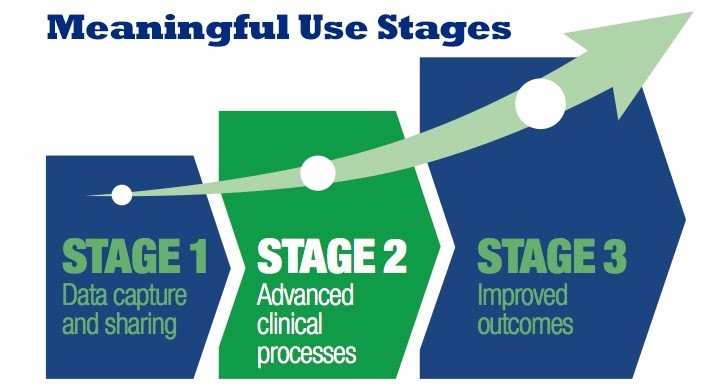 As stage 3 of Meaningful Use is initiated, the use of ‘mhealth’ data is in the mix with the key word of interoperability as its focus. Policy issues, business issues and cultural change are the pivot points as government IT gurus attempt to further define and accelerate MU programs. So what does this mean to the average Healthcare Practice or hospital? How to address these issues AND create interoperability AND be affordable AND actually provide the data needed to perform the analytics will require the industry to invest heavily in the solutions. The good news for practices is that this will not happen overnight. Practices will continue to see changes and innovations come and go. Invest in your staff, a reliable IT infrastructure and patients. Don’t try to get ahead of the curve; it hasn’t been defined yet.